It’s a bird. It’s a plane. It’s the Pittsburgh Symphony Orchestra third sensory-friendly orchestra performance, “Music of Flight and Fantasy,” Saturday, June 17 at 2:30 p.m. at Heinz Hall! Led by newly appointed Music Director of the West Virginia Symphony Orchestra Lawrence Loh, who helped launch the sensory friendly initiative when he was the Pittsburgh Symphony’s resident conductor, “Music of Flight and Fantasy” is designed to provide a welcoming and inclusive concert environment, making it appropriate for families and patrons of all ages including those with autism spectrum disorders, sensory sensitivities and other different abilities. The performance features narratives and musical selections that celebrate high flying characters, brave adventurers, fantastical stories and more, such as John Williams’ “Flight to Neverland” from “Hook,” Rimsky-Korsakov’s “Flight of the Bumblebee” and Harold Arlen’s “Over the Rainbow.” The concert also will include a live drawing segment featuring artist/illustrator Stacy Innerst, sing-alongs with vocalist Katy Shackleton Williams, performances by ballet dancers and soloes by Pittsburgh Symphony principal harp Gretchen Van Hoesen and principal contrabassoon James Rodgers. Pre-visit materials created by Roger Ideishi and Rochelle Mendonca of Temple University are available online to prepare for the trip to Heinz Hall. Pre-concert activities will begin at 1:15 p.m. on the day of the performance. During the activity hour, patrons can play instruments in a sound exploratorium facilitated by Children’s Hospital of Pittsburgh of UPMC Music Therapy; explore movement in a kinesthetic room with Pittsburgh Ballet Theatre; take pictures with favorite character cutouts; make fantastic artwork with staff from the Children’s and Warhol Museums, and meet Pittsburgh Symphony musicians, as well as the symphony’s musical ambassador to children, Fiddlesticks! Concert modifications include partially raised house lights to facilitate ease of movement in the hall, relaxed policies welcoming all responses to the music at any time, fidgets and earplugs to regulate sensory stimulation, a designated quiet space with relaxing activities and a live video feed from the stage, slight mitigation of sudden, loud noises from the stage, and gluten- and casein-free concession options. Tickets for “Music of Flight and Fantasy” are $15 and can be purchased by calling the Heinz Hall box office at 412-392-4900 or visiting pittsburghsymphony.org/sensoryfriendly. Families can receive a 100% refund to this concert if they purchase tickets and find they are unable to attend on the day of the performance. Generous support for this concert was provided in part from the following: FedEx Ground, Highmark Blue Cross Blue Shield & Allegheny Health Network, The Jack Buncher Foundation, and Pirates Charities. 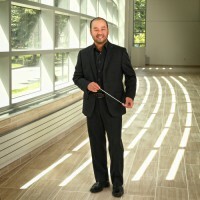 LAWRENCE LOH is the inaugural music director of Symphoria, founded by former members of the Syracuse Symphony Orchestra. He also holds the position of music director of the Northeastern Pennsylvania Philharmonic. Recently, his contract with Symphoria was extended to 2022 and he was named music director of the West Virginia Symphony Orchestra. In 2015, he concluded a decade-long association with the Pittsburgh Symphony Orchestra, promoted from assistant to associate and later, resident conductor. While in Pittsburgh, Loh was also the music director of the Pittsburgh Youth Symphony Orchestra. Previously, Loh held the position of artistic director and principal conductor of the Syracuse Opera. Since his appointment as music director of the Northeastern Pennsylvania Philharmonic in 2005, the orchestra has made its mark as an ensemble of superb musicianship, performing electrifying concerts year-round. Off the podium, Loh is very active in the region as an arts leader and music advocate. He created a very successful Apprentice Conductor Program in 2012, designed to help identify and train the next generation of young conductors. During his post with the Pittsburgh Symphony Orchestra, Loh worked closely with Music Director Manfred Honeck and conducted a wide range of concerts including classical, educational and pops. He accompanied the Pittsburgh Symphony on numerous domestic and international tours and was active in the symphony’s Community Engagement Concerts, extending the Pittsburgh Symphony’s reach into neighboring communities. He led the groundbreaking Sensory Friendly concert in 2015, one of the first of its kind. Loh made his debut on the main classical series conducting Handel’s Messiah in December 2008. He worked closely with the Pittsburgh Symphony Orchestra composers of the year, including John Corigliano, Mason Bates, Joan Tower, Steven Stucky, Jennifer Higdon and Christopher Theofanidis. For many years, Loh led the enormously popular Fiddlesticks Family Concert Series, playing the part of script writer, host and conductor. He was awarded the Pittsburgh Symphony’s Paul Ross Award for Excellence in Education and Community Engagement in 2015. Upon ending his tenure with the Pittsburgh Symphony, Loh was immediately reengaged for two weeks in both the 2015-16 and 2016-2017 seasons. Loh is active as a guest conductor, both in the United States and abroad. Recent engagements include the National (Washington D.C.), Indianapolis, Tacoma, Utah, Seattle, West Virginia, Naples, Knoxville, Florida, Dallas, El Paso, San Luis Obispo, Edmonton, Colorado, Charleston (SC), Detroit, Malaysia, Daejeon (South Korea), Cathedral Choral Society and Greater Bridgeport Orchestras. His summer appearances include the festivals of Bravo Vail Valley, Aspen (CO), Mann Center in Philadelphia, Breckenridge, Las Vegas, Hot Springs (AR), the Kinhaven Music School (VT) and the Performing Arts Institute (PA). In the summer of 2016, he made his debut at Tanglewood, conducting Shostakovich 5th Symphony with the Boston University Tanglewood Institute Young Artists Orchestra. Before going to Pittsburgh, Loh held the positions of assistant and associate conductor of the Dallas Symphony from 2001 to 2005. He was brought to national attention in February 2004 when he stepped in to conduct on short notice for an ailing Charles Dutoit, conducting Stravinsky’s Petrouchka and Berlioz’s Symphonie Fantastique. Prior to his Dallas appointment, Loh was appointed by Music Director Marin Alsop to be associate conductor of the Colorado Symphony Orchestra and was also music director of the Denver Young Artists Orchestra. Having a particular affinity for pops programming, Loh has been engaged for repeat performances with Chris Botti, Idina Menzel, Ann Hampton Callaway, the Texas Tenors and more. He has assisted John Williams on multiple occasions and conducted numerous sold-out John Williams tribute concerts. He is particularly adept at conducting concerts synchronizing live orchestral music with film and has led Pixar in Concert, Disney in Concert, Wizard of Oz and Singin’ in the Rain among others. In May 1998, Loh received his Artist Diploma in Orchestral Conducting from Yale School of Music, earning the Eleazar de Carvalho Prize, given to the most outstanding conductor in the Yale graduating class. He received further training at the world-renowned Aspen Music Festival and School. He received his MM in choral conducting from Indiana University while also studying clarinet with Howard Klug and voice with Roy Samuelsen. He began the DMA program in Opera and Instrumental Conducting at IU before transferring to Yale. His received his BA and Certificate of Management Studies from the University of Rochester. In 2001, Loh was the guest curator at the Denver Museum of Nature and Science for “What Makes Music?” an interactive exhibit, offering the opportunity to explore the science of music and sound, as well as the role of music in culture. KATY SHACKLETON WILLIAMS has performed extensively in the Pittsburgh area with the Pittsburgh Symphony Orchestra, Pittsburgh Opera, Mendelssohn Choir, Pittsburgh Opera Theater, River City Brass Band and Pittsburgh Concert Chorale. She was a featured soloist for several Pittsburgh Symphony Holiday Pops concert series and made her BNY Mellon Grand Classics debut in September 2005 with Mendelssohn’s A Midsummer Night’s Dream. She was a soloist in the Heinz Hall performance of The Lord of the Rings and has been the special guest vocalist for many of the Pittsburgh Symphony’s Fiddlesticks and Tiny Tots children’s concerts. Van Hoesen has also been soloist with the Rochester Philharmonic Orchestra, the National Orchestral Association, the Greenwich Philharmonia and the Westmoreland Symphony. She has concertized in the metropolitan New York area at Carnegie Recital Hall, Alice Tully Hall and the Brooklyn Museum, and has presented concertos at the Academy of Music in Philadelphia and the John F. Kennedy Center for the Performing Arts in Washington. Van Hoesen was winner of the 1978 Passamaneck Competition and appeared in recital at the Y Music Series of the Pittsburgh Jewish Community Center. Van Hoesen has been a recitalist throughout the Pittsburgh area at Duquesne University, Carnegie Mellon University, Chatham College, Carlow College, Shadyside Concerts, Pittsburgh Chamber Music Project, Rodef Shalom series, California University of Pennsylvania, Slippery Rock University, Heinz Hall Chamber Series, the Renaissance City Winds series, Geneva College, the Frick Art Museum and the Pittsburgh Peace Institute. 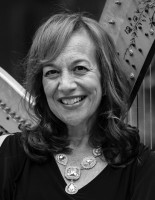 She has been a featured soloist at American Harp Society National Conferences in Boston, Pittsburgh, San Antonio, Washington, D.C. and Fredonia, New York. In 1985, the recording Lullabies and Night Songs was released on the Caedmon label featuring Jan DeGaetani, soprano; Van Hoesen, harp; and instrumental ensemble. Van Hoesen collaborated with her father, bassoonist K. David Van Hoesen, and singer Jan DeGaetani in a recording of the Phyllis McGinley Song Cycle written for them by the late Alec Wilder. In the 1990-1991 season, Van Hoesen performed the world premiere of Blues for Harp, Oboe, and Violoncello by Lawrence Hoffman and presented a master class and oboe/harp duo recital in Taipei, Taiwan. Pavanes, Pastorales, and Serenades for Oboe and Harp was issued in December 1998 with critical raves from around the country. Van Hoesen collaborated with conductor Rossen Milanov to record the Gliere and Jongen Harp Concertos and Buendiá’s Suite Concertante with the New Symphony Orchestra in Sofia, Bulgaria. These performances are available on Boston Records. Recent CDs by Van Hoesen include Trio Pittsburgh with Noah Bendix-Balgley and Anne Martindale Williams and Genetic Harps with her daughter Heidi Van Hoesen Gorton, principal harpist of the Toronto Symphony Orchestra. JAMES RODGERS has been the principal contrabassoonist with the Pittsburgh Symphony Orchestra since September 2001. 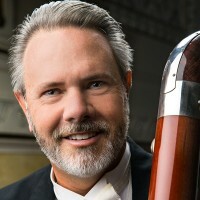 Formerly, he was the principal bassoonist with the Jacksonville Symphony, associate principal bassoonist with the Florida Orchestra, second bassoonist with the Houston Symphony, and contrabassoonist with the Colorado Symphony. A founding member of the Pittsburgh Reed Trio, Rodgers has performed to critical acclaim with symphony colleagues Scott Bell (oboe) and Ron Samuels (clarinet). Their many and varied concerts have been heard locally, nationally and abroad. An avid early music enthusiast, Rodgers likes to perform on dulcian whenever possible. As a pioneer of electric/acoustic bassoon and contrabassoon development, Rodgers is ever creatively exploring the possibilities of his instruments’ capabilities, both in sound and genre. Rodgers lives in Moon Township with his wife, Sue, a clarinetist and dietitian/diabetes educator, and their feline family. The PITTSBURGH SYMPHONY ORCHESTRA, celebrating 120 years in 2016, is credited with a rich history of the world’s finest conductors and musicians, and a strong commitment to the Pittsburgh region and its citizens. Past music directors have included Fritz Reiner (1938-1948), William Steinberg (1952-1976), Andre Previn (1976-1984), Lorin Maazel (1984-1996) and Mariss Jansons (1995-2004). This tradition of outstanding international music directors was furthered in fall 2008, when Austrian conductor Manfred Honeck became music director of the Pittsburgh Symphony. The orchestra has been at the forefront of championing new American works, and gave the first performance of Leonard Bernstein’s Symphony No. 1 “Jeremiah” in 1944 and John Adams’ Short Ride in a Fast Machine in 1986. The Pittsburgh Symphony has a long and illustrious history in the areas of recordings and radio concerts. As early as 1936, the Pittsburgh Symphony broadcast on the airwaves coast-to-coast and in the late 1970s it made the ground breaking PBS series “Previn and the Pittsburgh.” The orchestra has received increased national attention since 1982 through network radio broadcasts on Public Radio International, produced by Classical WQED-FM 89.3, made possible by the musicians of the Pittsburgh Symphony Orchestra. With a long and distinguished history of touring both domestically and overseas since 1900 — including international tours to Europe, the Far East and South America — the Pittsburgh Symphony continues to be critically acclaimed as one of the world’s greatest orchestras. HEINZ HALL FOR THE PERFORMING ARTS is owned and operated by Pittsburgh Symphony, Inc., a non-profit organization, and is the year-round home of the Pittsburgh Symphony Orchestra. The cornerstone of Pittsburgh’s Cultural District, Heinz Hall also hosts many other events that do not feature its world-renowned orchestra, including Broadway shows, comedians, speakers and much more. For a full calendar of upcoming non-symphony events at the hall, visit heinzhall.org. Saturday, June 17 at 2:30 p.m.